Oh the possibilities! 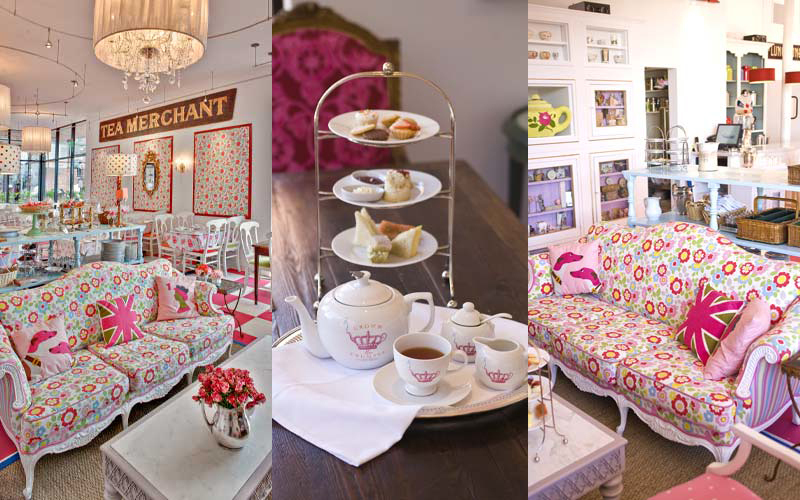 I mean, you could definitely do a an English tea party, or you could go with a more graphic Union Jack-ish route. And that Union Jack is just graphically perfect in my mind, so I’m gonna run in that direction. But first thing’s first. No matter which way you go, everyone in attendance – and I am talking to the men as well – should definitely wear an ostentatious piece of crazy on their head. I’ll take that red enormous flower hat, thanks! So now, let’s decorate. Okay, I am forming a total paper crush on Bushel & Peck Paper Co. And lucky for us, Jaimee has designed the perfect suite of decor collateral just for this kind of party! Invites, cupcake toppers, and just look how cute that “Cheerio” banner is! Adorable! She’s got a whole website of lovely goodies, so check it out! For tables, let’s grab some vintage tablecloths from somewhere amazing like Uncle Bunk’s Trunk. How perfect is this one of Buckingham palace and the guards? But it would be equally cute to do all florals as well. I would definitely grab a few of these bunting kits from Etsy shop Loopsies and drape them all over the house. 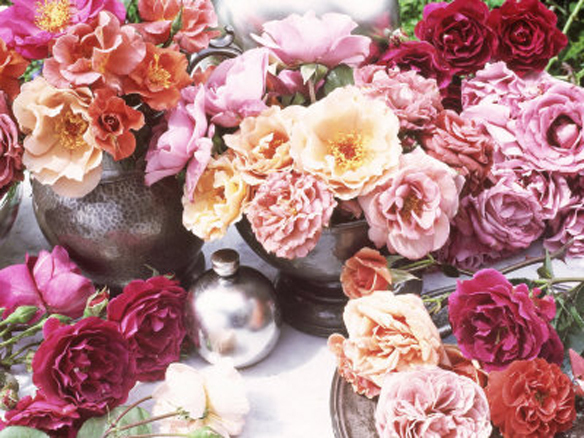 Then I’d pull a few tea tins for floral arrangements. 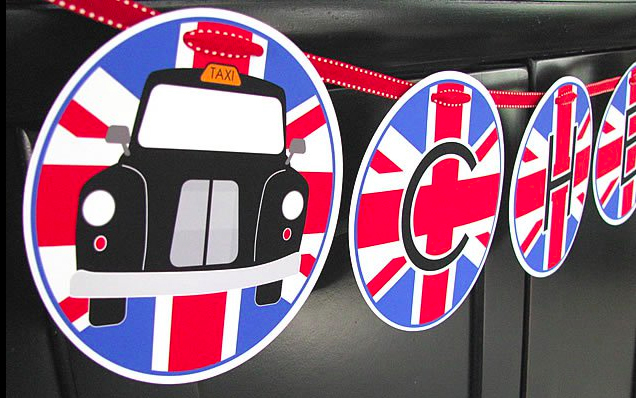 If the design is British, even better! 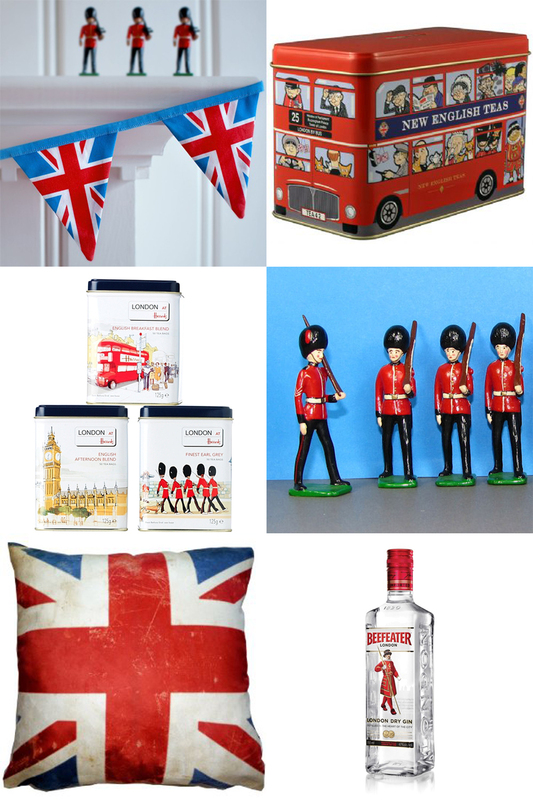 I love that double decker bus one and the ones from Harrod’s are just perfect as well! 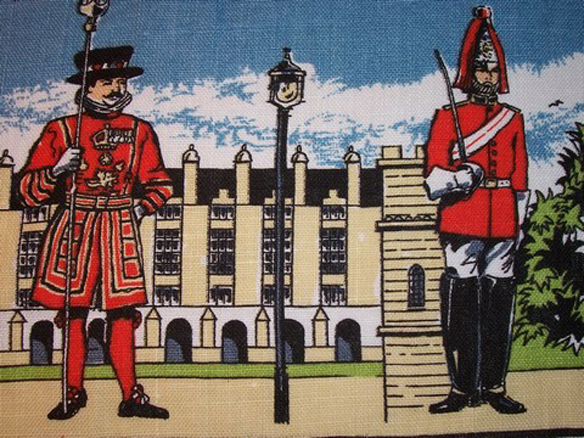 Throw a few toy soldiers on each table, grab some union jack flags or pillows to toss about and start sipping some tea! And if tea just doesn’t cut the mustard, well, there’s trusty – and very aptly packaged – Beefeater Gin. Don’t you just love it when your gin decorates for you? If you’ve ever walked through Hyde Park in the spring, you’ll know that daffodils take over! So let’s use them in those tea tins. 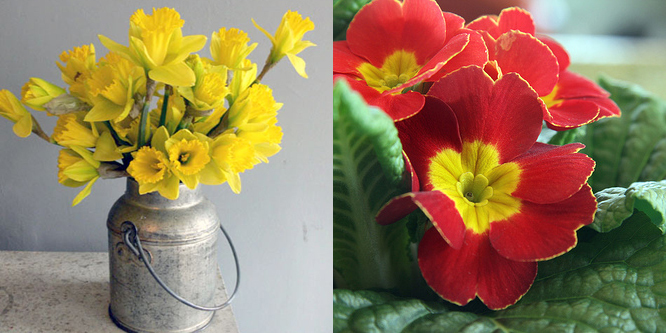 Primroses do the trick as well and both are great British options. 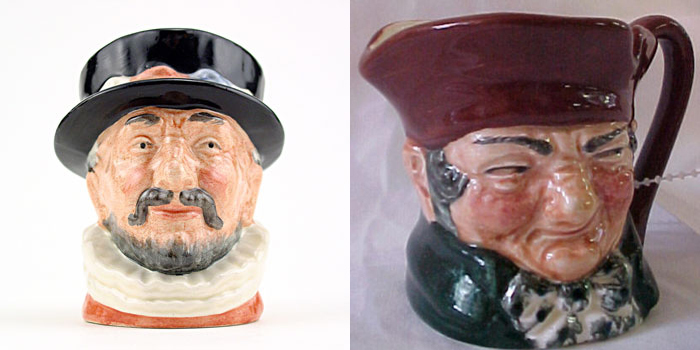 And since we’re drinking Gin instead of tea, let’s drink out of these Royal Doulton Toby Mugs. How kitschy cool would that be? If you have precious silver, now is the time to break it out. I imagine those Brits wouldn’t dare eat off of plastic utensils. Serve up bangers and mash (and see who’s brave enough to eat it), chips (and by chips I mean fries), and heavy beer and I bet you anything the prince and new princess will wish they could be at your party instead of theirs! 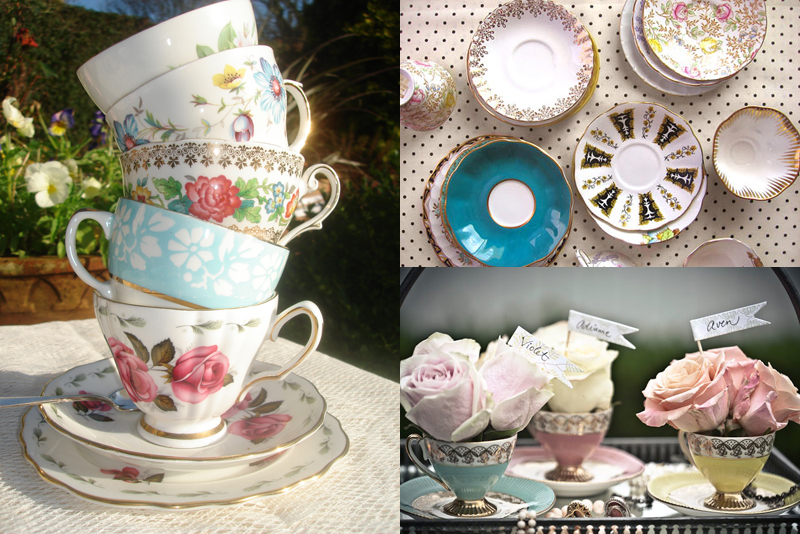 You’ll definitely need to serve up some mean tea and crumpets. Of course, don’t you dare lose that hat! Maybe even add some gloves. If you’re jonesing for a party like this but want someone else to do all the work, gather a bunch of gals and head to somewhere darling like Crown and Crumpet. (Oh SF! You strike again with your coolness.) 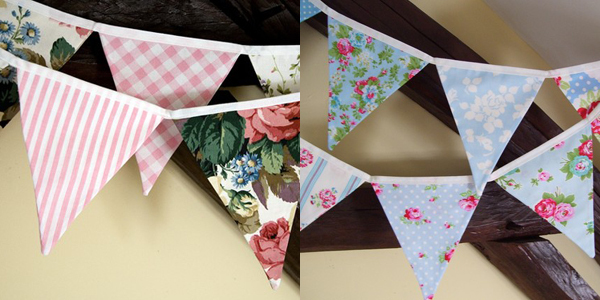 Hang some bunting to make it seem even sweeter and decorate with english roses. No matter how you do it, it could be a very cool party, no? So someone, throw this! I mean, it’s not every day the world gets a new princess. Cheerio, indeed my dears! This entry was posted in throw this and tagged british party, kate middleton, prince and princess, prince william, royal wedding, royal wedding party, tea and crumpets, tea party, union jack by Annika. Bookmark the permalink. YOU’RE a doll! Thanks a bunch for the Bushel + Peck shoutout! I’m having a Mommy & Me Wedding Brunch the day after the wedding to celebrate the royal couple. We all remember getting up in the middle of the night to see Princess Di & Charles get married. Luckily, now we have TiVo and can record it! We’ll be doing an old fashion tea party/brunch with 12 Mom’s & their 5-6 year old little ladies, following brunch, we’ll retire to the salon to watching the wedding ceremony together! The save the dates are already out & formal the invites go out in the mail next week… Tiara’s & outrageous headware are welcome & encouraged… Cheerio! How FUN!!!! Oh how I wish I could join you lovely ladies! Would love to see what you’ve come up with! Good to know that great minds think alike! All very clever, but that’s Saint James Palace, not Buckingham Palace.